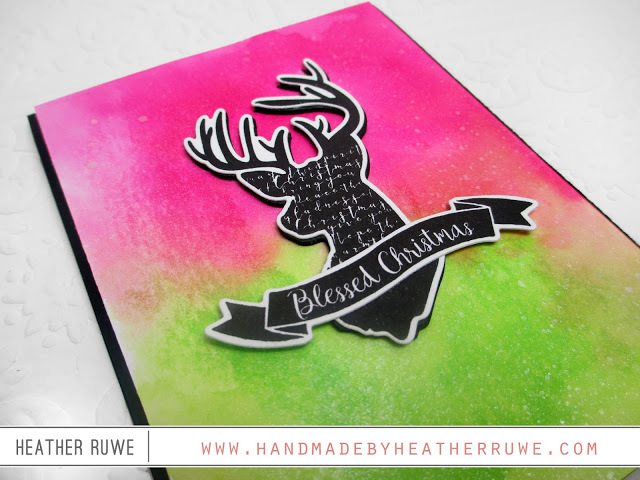 I wanted to do a spin on the traditional red and green Christmas colors and use hot pink and neon green! I applied Picked Raspberry and Twisted Citron Distress inks to a recycled piece of packaging plastic and sprayed it with water. 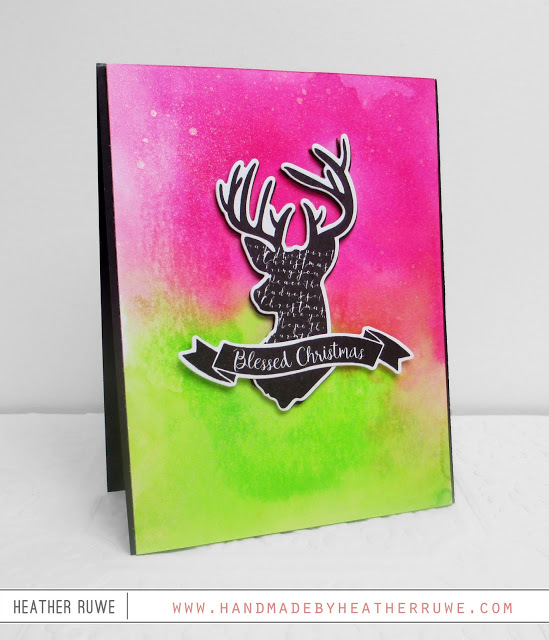 I laid a piece of THIS cardstock in it to create a fun background. Spraying some of THIS on top gave it some great shine. 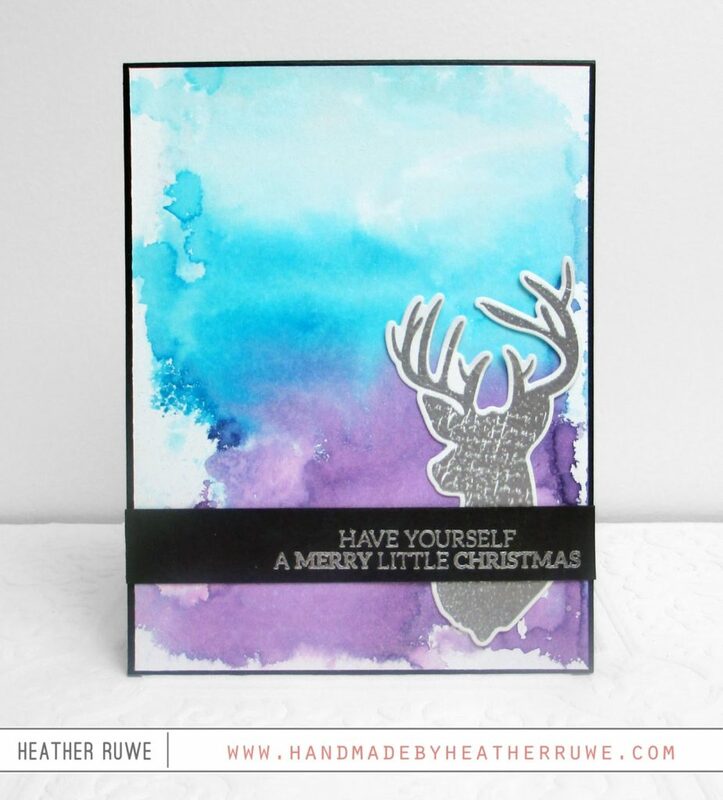 For my second card, I used another non-traditional color scheme to create a winter background. I did this the same way as the first card but used Tumbled Glass, Mermaid Lagoon, and Seedless Preserves Distress ink. 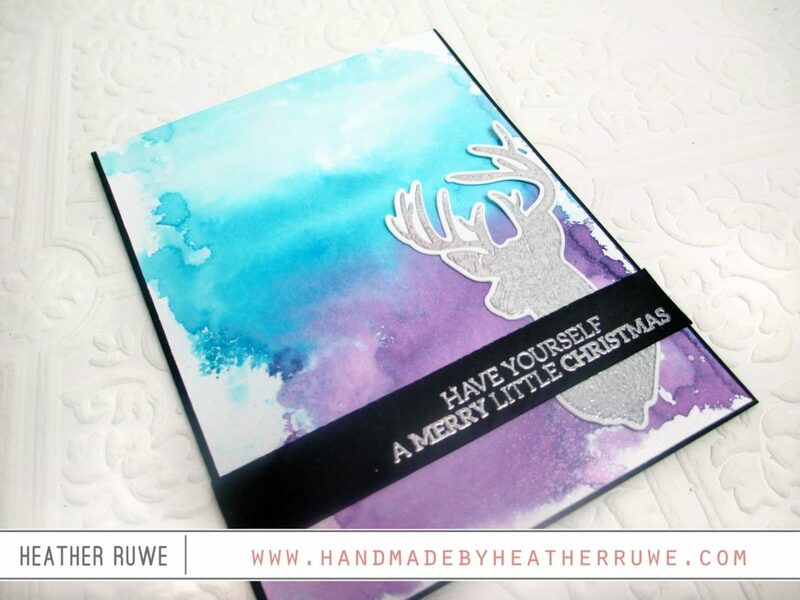 I heat embossed the deer again and a sentiment from THIS set using THIS silver embossing powder. 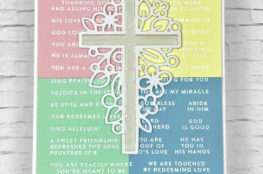 I hope this inspires you to use a non-traditional color scheme on your next holiday project. Thanks so much for stopping by. 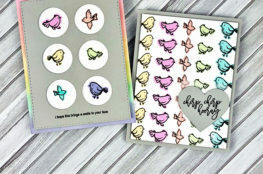 I will be back tomorrow with another project for Day Four of the I Love Simon Says Stamp week. Very gorgeous cards ! I love those colours, Christmas looks even more joyful ! This stamp set is really beautiful ! Thanks for sharing. 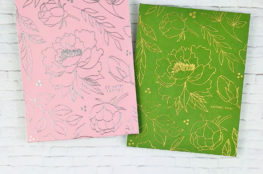 I love non traditional colours on a card, specially the pink and green. Looks so striking with the black stag and banner. I think the non traditional colors are amazing!